Disclaimer: In the interest of full disclosure, I do not have any financial arraignment with any company that produces any of the products I review. This review is based on my experience with equipment that I personally own and use during actual photography assignments. Should you decide to purchase this product by following the links I provide to Amazon or Adorama, I will gratefully receive a small commission. 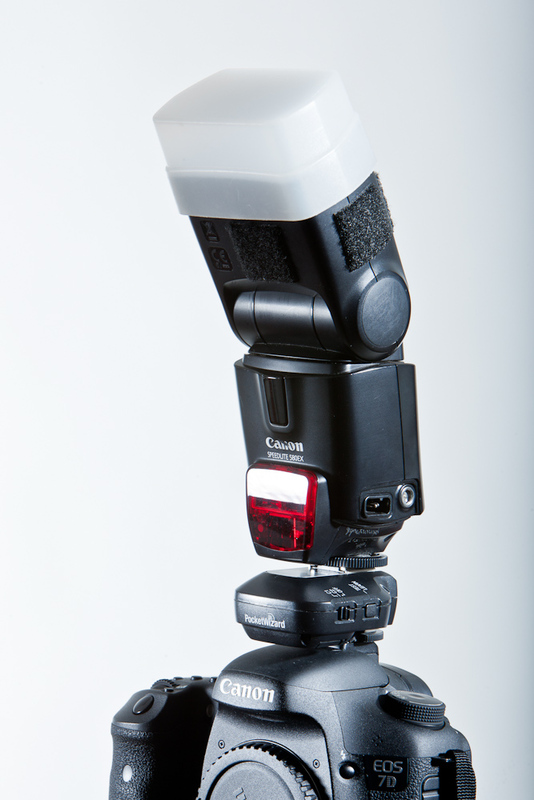 The Pocket Wizard TTL triggering system for the Canon flash systems are very functional units that allow the creative photographer many more options for traveling light while using their strobe off-camera. Recent improvements in the documentation – specifically the Wiki page – help to deliver the easy of operation that was promised but initially lacking in the packaged documentation. These units are a significant investment but are indispensible tools to get the job done. With a little practice, the same job can be done with less expensive non-TTL radio systems. However, when time is short and accuracy is critical, the Pocket Wizard MiniTT1 transmitter and FlexTT5 transceiver offer a quick, flexible and lightweight solution to providing creative lighting solutions for creating dynamic images. It eliminates red eye. Certainly there are other ways to do so, but moving the flash off the axis of the lens always works. This system allows more creative lighting options. 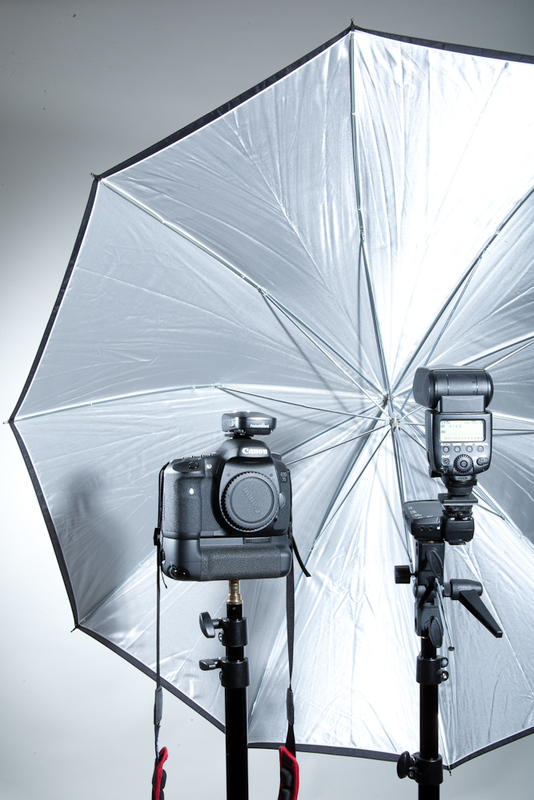 The light can be moved around the subject for different lighting ratios, effects and a larger variety of modifiers like umbrellas and softboxes. The light can be next to a subject that would be too far away if the flash was mounted on the camera. The radios are capable of transmitting up to 300 feet. The flash can be mounted on a raised stand and bounced off the ceiling to provide fill light while photographing groups of people at events. By raising the light, it is less bothersome to the guests and does not get blocked, thereby creating shadows. Perhaps most importantly it removes the extra weight from the top of the camera! When you make your living by wearing a weight around your neck, the smaller that weight the better. The MiniTT1 transmitter is a small lightweight transmitter with hot shoe that integrates with many different Canon or Nikon cameras (these are brand specific so make sure you get the proper model!). It is designed to transmit TTL (through the lens) exposure information to the FlexTT5 system. Additionally, both the MiniTT1 and FlexTT5 are fully compatible and have always worked flawlessly for me with the Plus II and the MultiMax transceivers, also from Pocket Wizard. 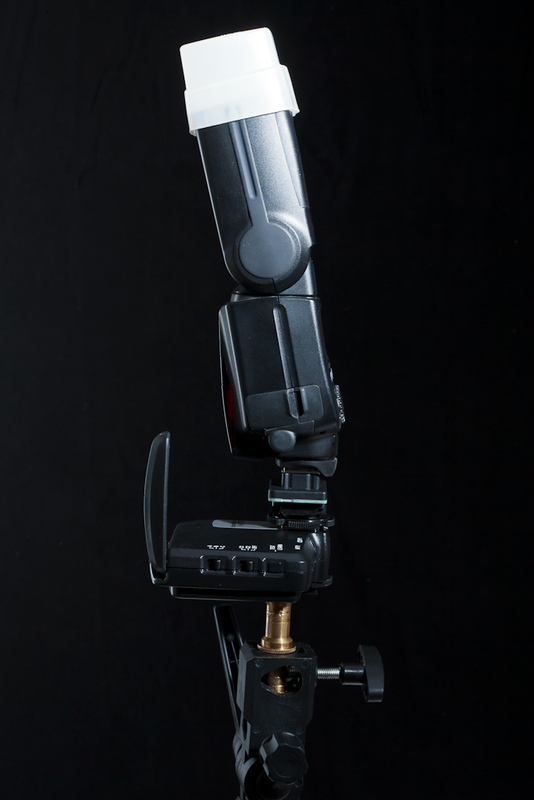 The FlexTT5 is a transceiver and can work on the camera or attached to a strobe. The company’s marketing materials made the system sound like a dream. Put it on your camera, turn it on and fire the shutter twice and your ready to go! I remember video after video exulting the easy of use and phenomenal results. When the units finally arrived – and after reading the manual several times, updating the firmware, programming the units through my laptop, and once again reading the manual – I found the reality to be far from the hype. The manual was horribly written and the units were anything but consistent or easy to operate. However, after a lot of practice and trial and error I was able to get the units to work well enough most of the time to get the shots I wanted, but I never trusted on the units and would always have a backup plan set up and ready to go. At the beginning of this month, few days before flying to California for an assignment, I noticed there was a firmware update for both the MiniTT1 and the FlexTT5. Since I had a couple of days for testing before I left or find an alternative should something fail, I installed the update. What a difference that has made! Described as a work in progress, which it certainly is as some pages do not have any information yet, the Wiki page actually contains useful information in an easy to use format. Once the firmware was installed and the Wiki page reviewed, I turned on the Flex and Mini TTLs (using the procedure outlined below) and something amazing happened… it worked perfectly. Two releases of the shutter and I was getting perfect TTL. No matter what shutter speed / aperture combination I used, the TTL bounced the flash off the ceiling exactly as needed. Once the equipment is connected, turn everything on from the top down. There is one more caveat to this. Although the units will work with the flash running on the internal batteries, you better have brand new batteries and a lot of time to wait. For use on assignment or on a shoot where you don’t want your model falling asleep while you wait for your flash, you must have an external battery pack for the flash. I have tried two different packs with the Canon 580 EX and EX II flashes: the Canon AA battery pack and the Quantum Turbo battery. Hands down, when the flash is on a Flex or Mini, the Quantum is the only way to go. If you are shooting the flash on your camera, then either one will work just fine. But if you are shooting the flash on a Flex, I highly recommend the Quantum pack. The recycle time is much faster than the Canon unit and it lasts much, much longer. The downside is that the Quantum takes 8-12 hours to recharge, where as with the Canon, you can slip another 8-AA batteries into it and be up and running again in about 5 minutes. Additionally, by using either battery pack, the flash will not go into sleep mode, which can disrupt the sync between the camera and pocket wizard system. One last word of caution about the Quantum pack; make sure you connect the cable, turn on the Quantum, then turn on the flash. After that, the top down method for the Flex and Mini work perfectly. Now that I can reliably use my flash on a stand and off the camera, there are two different modifiers I use the most. My favorite – which is always on the flash when it is mounted to the camera’s hot shoe – is the Sto-Fen Omni Bounce. 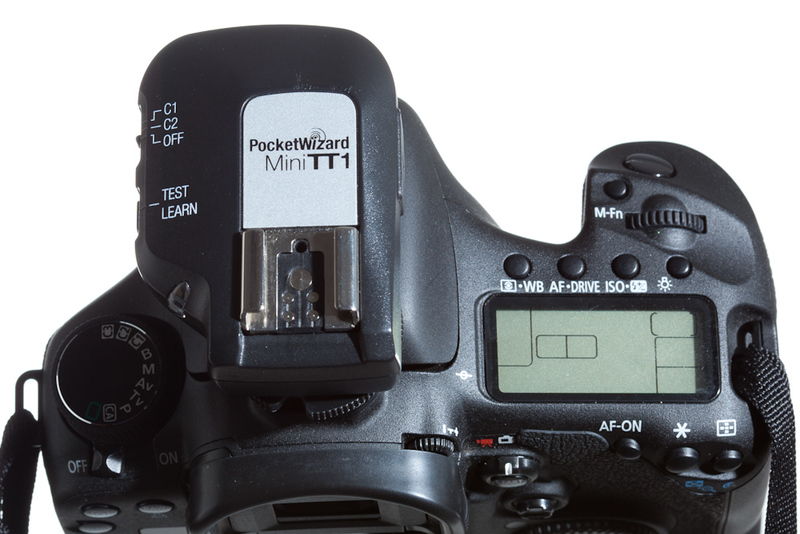 When utilizing the Pocket Wizard TTL system, I will use either the Omni Bounce or an umbrella. Both options give a nice, soft light. The umbrella is more directional, but does need more power so be sure to set the flash to an exposure compensation of at least +2. When using the Omni, I use between +1 1/3 and +2 exp. compensation depending on the distance to my subject and if I am shooting a group of people. This entry was posted in Photography Equipment reviews, Radio transceivers and tagged 2011, amazon, Canon, Creative Light, equipment review, FlexTT5, light stand, MiniTT1, photo equipment, photo skills, photo techniques, photoflex, photography, Pocket Wizard, Quantum Battery, Shawn Clark, Umbrella, westcott, wiki.pocketwizard.com. Bookmark the permalink.